LD- 50 Lab Report - AP Environmental Science! 1. Review your initial questions before starting the lab. Did you answer these after finishing the lab? 2. 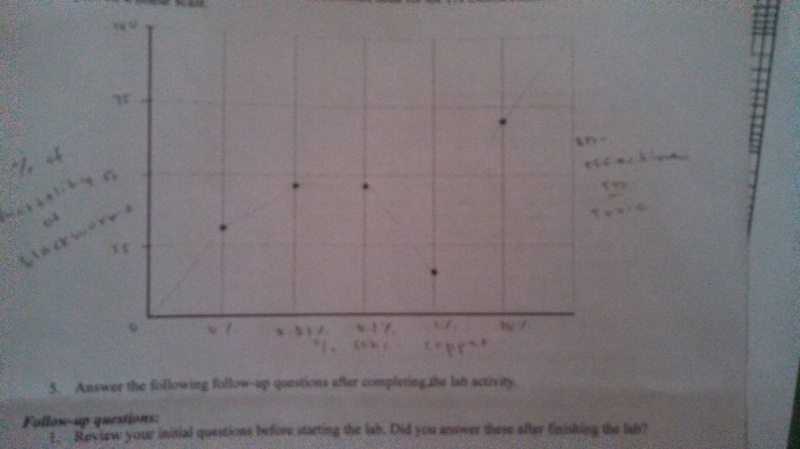 Look at the graph you made above of the % of blackworms that dies at each concentration of copper sulfate. What is the LD-50 that you would calculate from this data? The LD-50 for this data is over 0.1% of copper sulfate. 3. 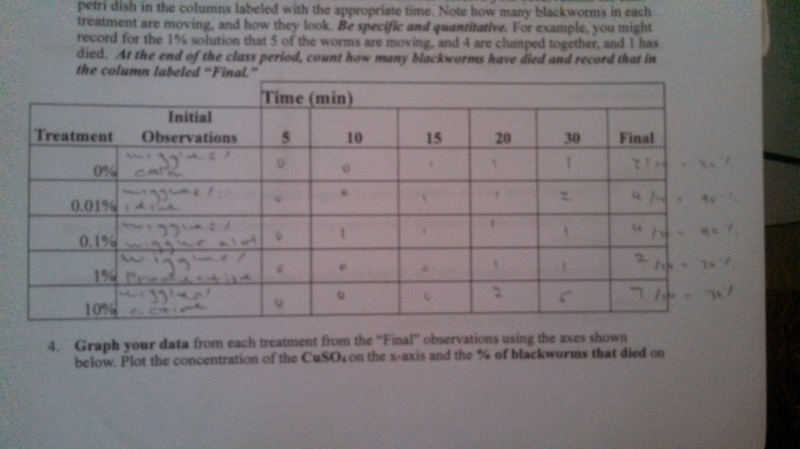 How would your answer change if you were trying to determine the ED-50 (effective dose, or dose where 50% of the blackworms change behavior)? 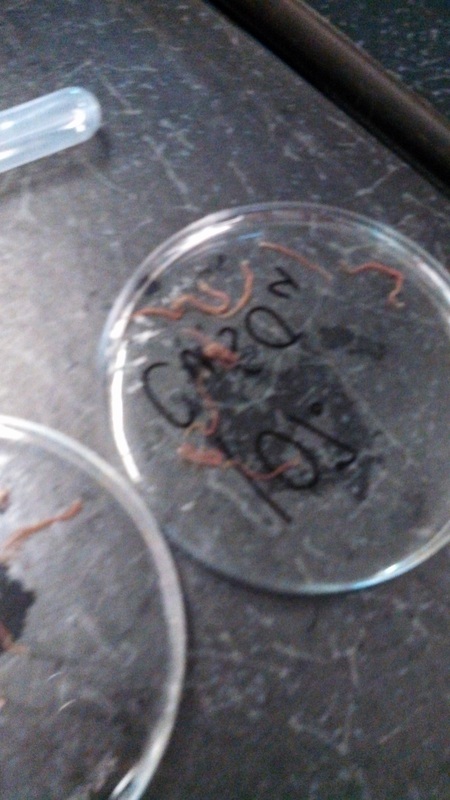 Hint: Think about what concentration of copper made about half of the blackworms stop moving unless poked, etc...Is this value less than the LD-50? Why? It would depend on the movement of the blackworms to determine the ED-50. 4. If you were the policy-maker in charge of determining the highest level of copper that should be allowed in San Diego Bay, what concentration would you choose? Why? We should not allow 50% of population to die. 0.01% should be the highest level of copper that should be allowed in San Diego Bay. There should really be no concentration of copper but that is not going to happen because people do not care enough.